ATLANTIS is a spacious haven (2550 sq. ft. and 1,000+ sq. ft. of decks and porches) perfect to accommodate the entire family. Second-level living in a high-ceiling, open-architecture great room is perfect for large gatherings and entertaining. With four (five if you count the media room with its QUEEN SLEEPER Sofa bed) bedrooms and a bunkroom; three of the bedrooms have en-suite bathrooms and one bedroom and a bunkroom (on the 1st floor) share a large full bath. Looking for something smaller? Check ATLANTIS II- Carriage House VRBO #740993! 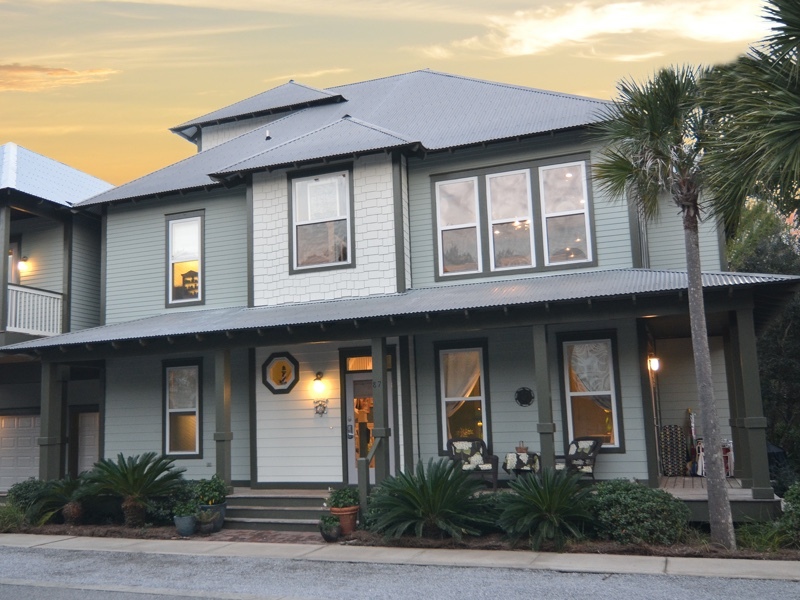 About the owner: Living in paradise since 2007, we occupy the adjacent carriage house. We’ll be available for any concerns and especially to give you suggestions on how to enjoy your stay. ATLANTIS is uniquely located in a perfect spot for quick access to our beautiful sugar white beaches as well as our community pool just one block away. Less than 2 blocks away is Seacrest Village, the gateway to loads of eateries, beach and bike rentals as well as music and other entertainment. Being between Rosemary and Alys Beach is the icing on the cake! You will be struck by the way ATLANTIS, and the SEACREST BEACH community give your family the gift of a wondrous vacation where you feel safe and secure. Where you feel free to walk, bike, play and frolic right outside your door.